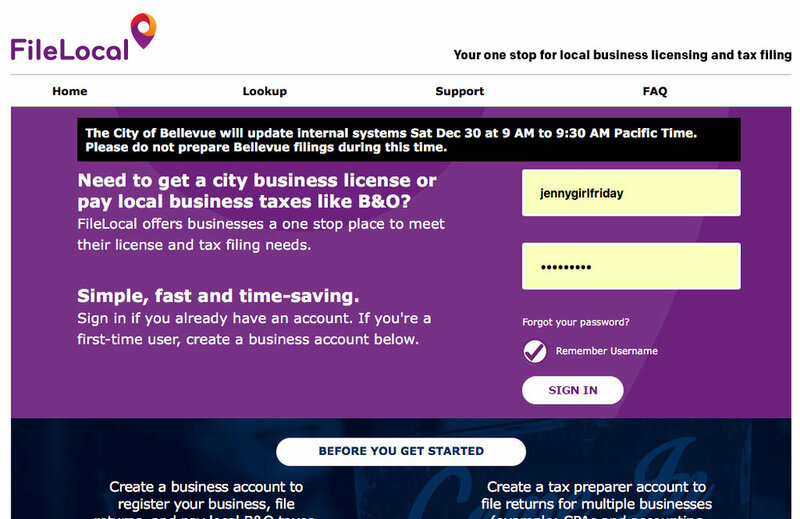 Hello + Note from January 9, 2019: Last year, the city started using a new portal called FileLocal. You’ll need to set up a user account there in order to make this report. Click here to read more. Frustration Factor: 6 out of 10. 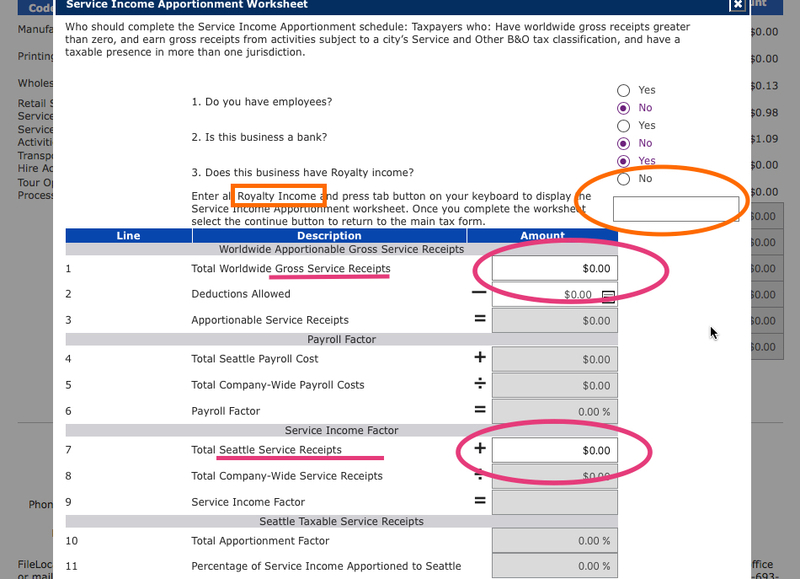 Cost/Taxes Due: If you earned under $100K (gross sales), then you will not pay any taxes to Seattle. To read about tax rates for over $100K with Seattle, click here. One Note: The state collects sales tax for Seattle. 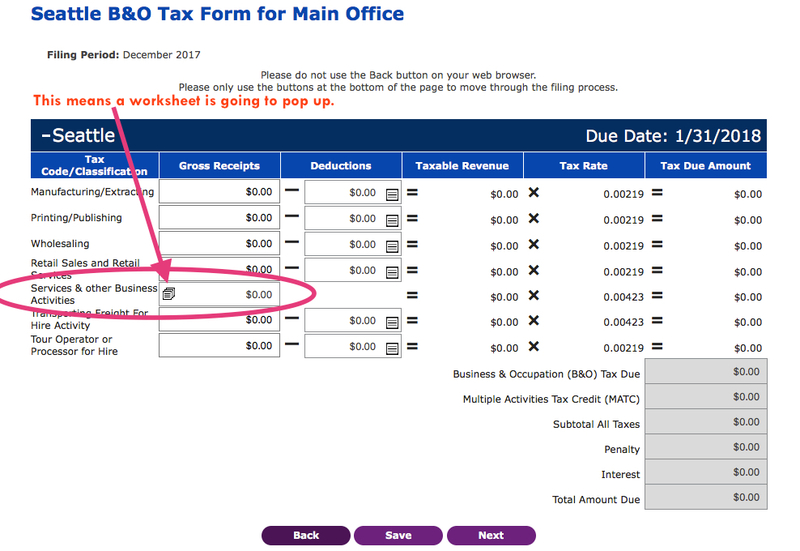 So if you have to submit sales tax, you'll do that through the WA state DOR, Department of Revenue. Reporting to Seattle is very similar to reporting to the WA state DOR. I recommend preparing for both at once. Everyone's situation is a little different, so it's hard to give estimates or exact instructions. 2. Schedule a 20 - 40 minute block for tax filing, during the weekday, with a plan to call the city if needed (they will walk you through this). This is includes buffer time. 5. On your scheduled day, give it a try. If you have to call the city, be prepared to wait...have something fun to do while on hold. 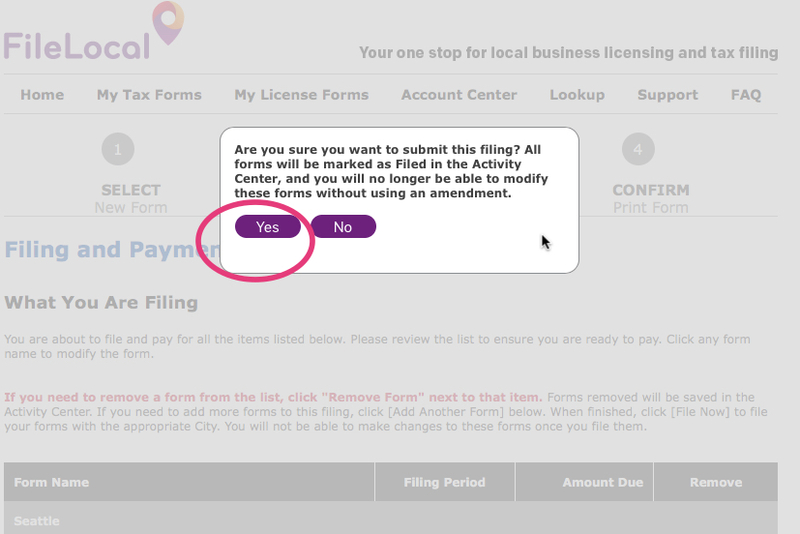 Click on one of the images for a form to download. 2 pages. If you understand these terms, then great. :) Fill it out to get ready for your call to the city. 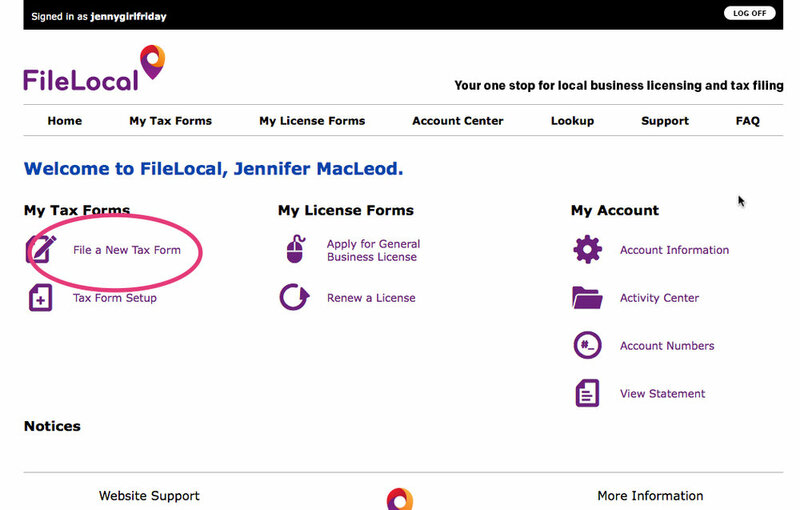 Head to FileLocal and sign in. The directions say to choose the last month of the period you're filing for. With Annual Reports, choose December of the last year. Fill in each box relevant to your business. The total sales in each category, NOT including any sales tax that you collected. This is a second view of the same screen. Note, this symbol means a (confusing) worksheet is about to pop up. Some questions. Note: you are NOT an employee. You are the business owner. Royalty information~ enter in the box circled in Orange. Non-Retail Services, enter in two places. If you did all your work in Seattle, these should be the same. A shot after this screen is filled in. You can only change the numbers in White. This example shows gross sales + taxes in three categories. 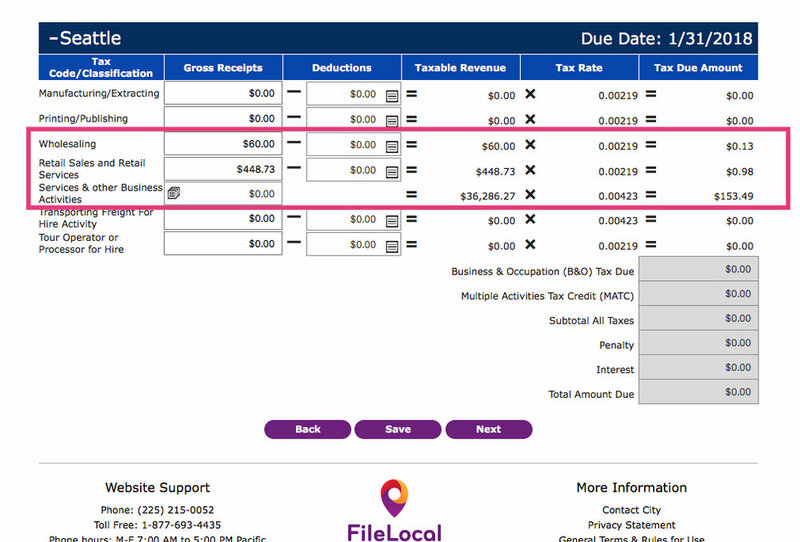 Note, no tax is due............because this person earned under $100K. Eventually, this screen pops up as a confirmation. Hurray! Success!!!!! FYI - the first 3 times I tried, I got this error message. I waited a few days, and tried again and it worked! One good thing........FileLocal had kept all my numbers, so I just had to move through all the screens. Well done! Phew! One thing about reporting to the city is that it forces us to know our total sales number. I find that kind of rewarding, how about you? One more hoop of tax season is all done. Be sure to give yourself a little or even medium reward! Perhaps some Theo's chocolate, some yummy juice from HeartBeet, or a trip to Ladywell's. P.S. Did this help you? Pretty please share with any friends, or post on Facebook. I think self-employed folks are keeping the soul in Seattle. I want to make the chores of business easier, so you all can keep being awesome.